The most memorable of forgotten weekends!…. So what does one do after a beautiful day in Williamsburg, sampling tasty craft beers on the waterfront? Go drink more beer, of course. 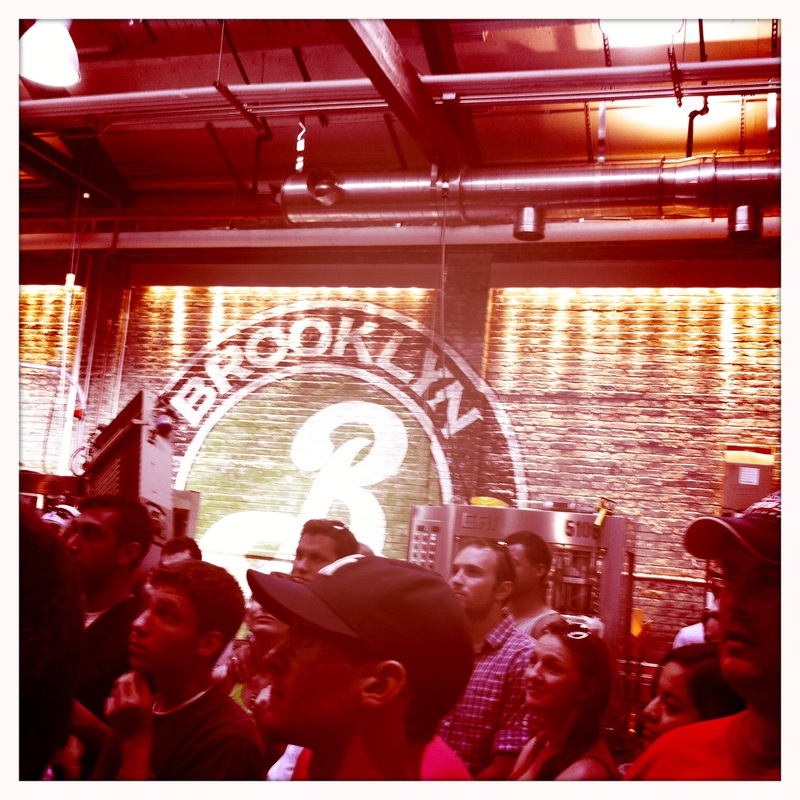 The festival’s location a couple of blocks from the Brooklyn Brewery made this the perfect post-event hangout. After waiting outside for about 15 minutes, we were inside, ready to try some of the seasonal Brewmaster’s Reserves on tap. Now for those of you who have never been to the brewery, or haven’t been in recent years, let me explain how this works. 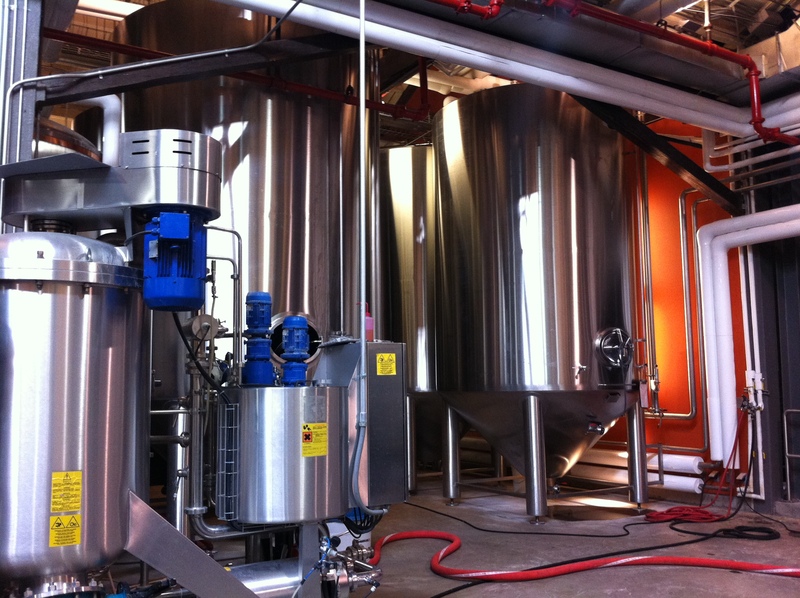 The brewery has recently expanded, doubling their brewing capacity, and increasing their operating hours, so that “small batch” tours are now available during the week. 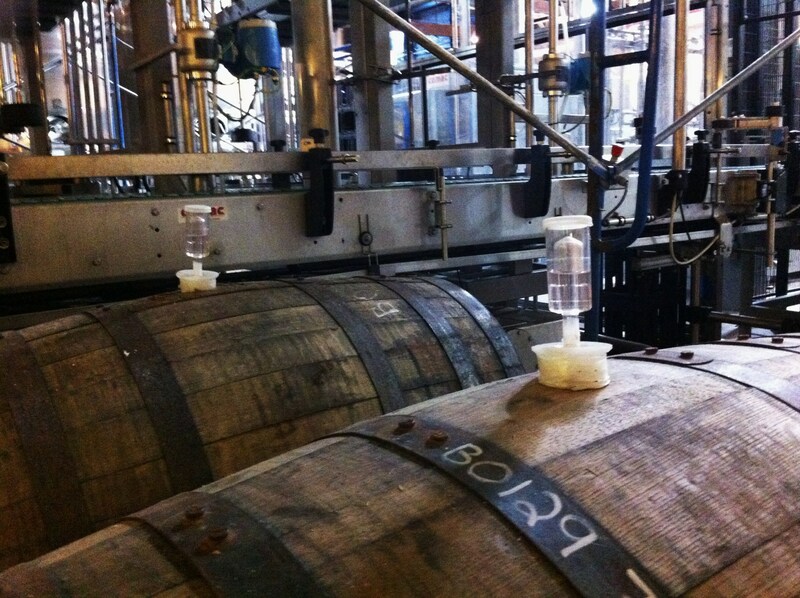 The small batch tours are limited to a couple of dozen beer drinkers, and will cost you $8 a pop. 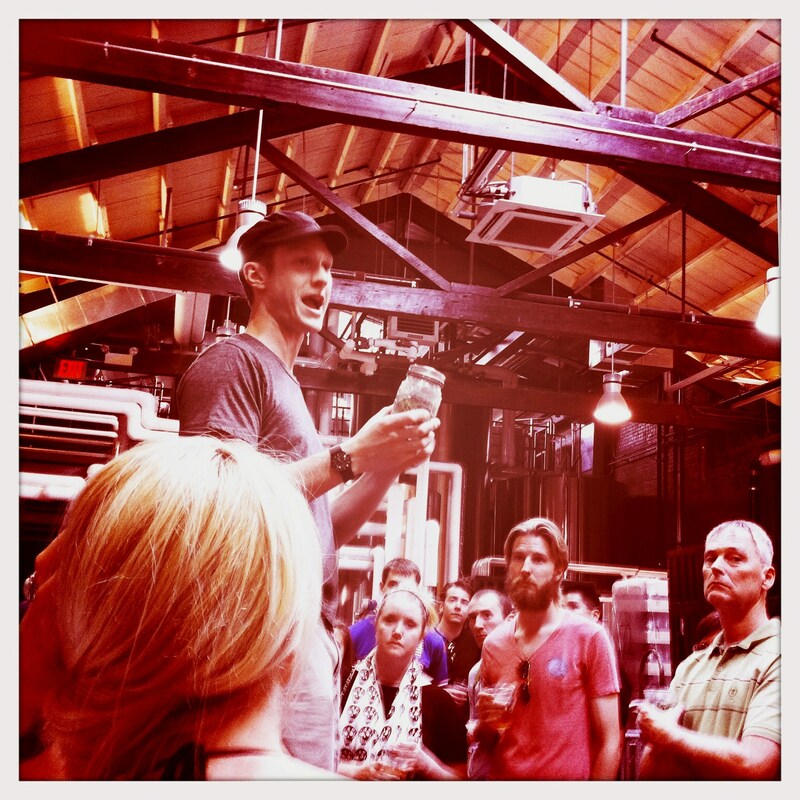 While you have to pay, the tour is intimate and informative, so depending on what kind of experience an individual is looking for, the small batch may be for you. Reservations are available via the Brewery’s web site. For years now, the brewery has also been open Friday evenings for happy hour, and all day Saturday and Sunday, for mess hall type drinking and less intimate, hourly tours. Entrance is free but granted on a first-come, first-serve basis, so it’s wise to get there early, especially if you’d like to have a place to sit. The place fills up quickly! 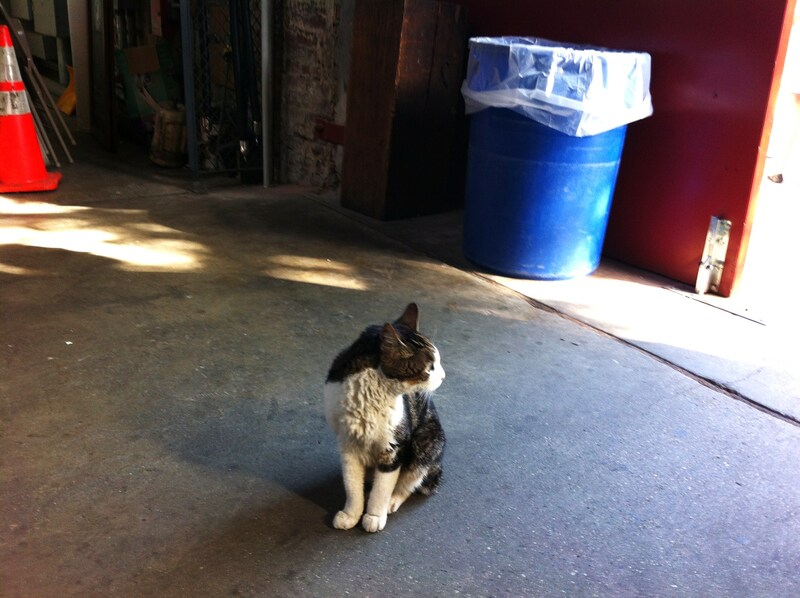 It seems as thought the Brewery is always busy, no matter what season it is. This recent expansion has allowed the brewery to experiment more as well, and now even more beers are being offered on tap, including a cask of real ale (on our visit, it was their EIPA). 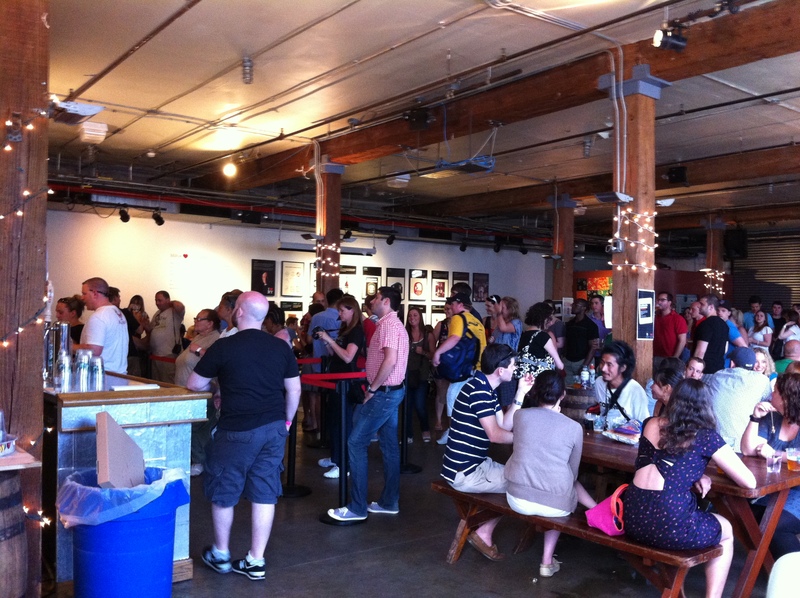 In addition, on this particular Saturday afternoon, their Summer Ale, Radius, Dry Irish Stout, and Brooklyner Weisse were available on tap as well as two limited release beers. There is also a limited selection of big bottle beers, including the Brooklyn 1 and 2. A pour of these will guarantee you a beautiful signature snifter glass—definitely worth the extra tokens. 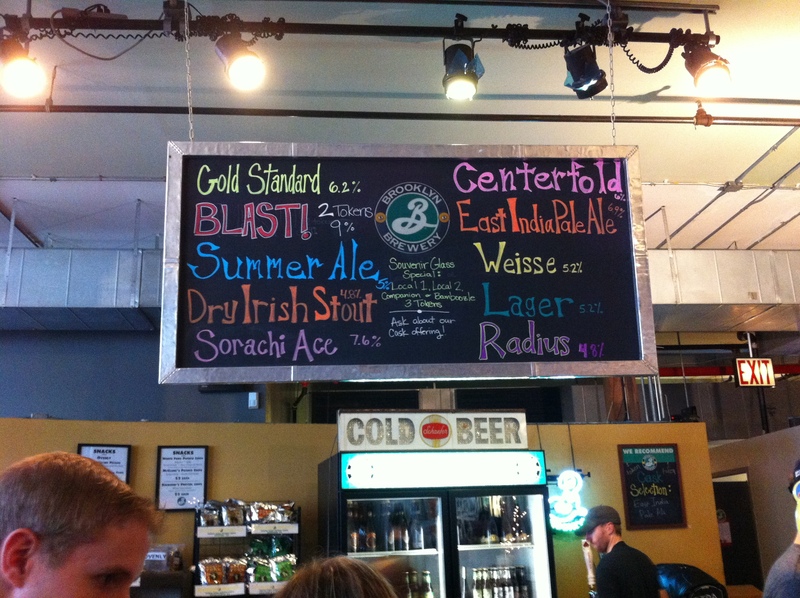 We were most excited to try the current Brewmaster’s Reserve, Gold Standard, and The Centerfold, which is a brew created by Brooklyn Brewery employee, Rob Lemery. The Gold Standard is a kellerbier, an unfiltered golden lager that is a popular beer for consuming in German beer gardens. Drinking this beer, it’s easy to see why. It was light and crisp, yet more bitter (44 IBUs) than I expected. The yeast strain used to brew this beer is actually from New Glarus Brewing Co. in Wisconsin. I enjoyed this beer immensely and like many other Brewmaster’s Reserves of seasons past, will remember it fondly. 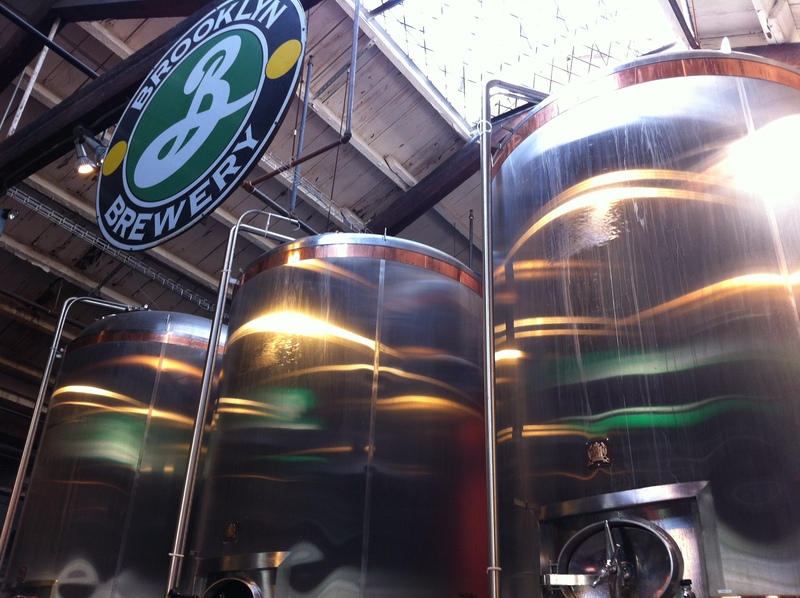 If you plan on visiting Brooklyn Brewery in the next few weeks, I highly recommend trying it. Another limited release beer on tap during our visit was the Centerfold. While I love the idea behind the beer (brewed with rose hips), I found it almost undrinkable. The name alone brought to mind that annoying song by the J. Geils Band (you know the na na na na na na…) but this didn’t deter me from trying it. Maybe at this point in the day my palate was shot, but this Centerfold just wasn’t my type. 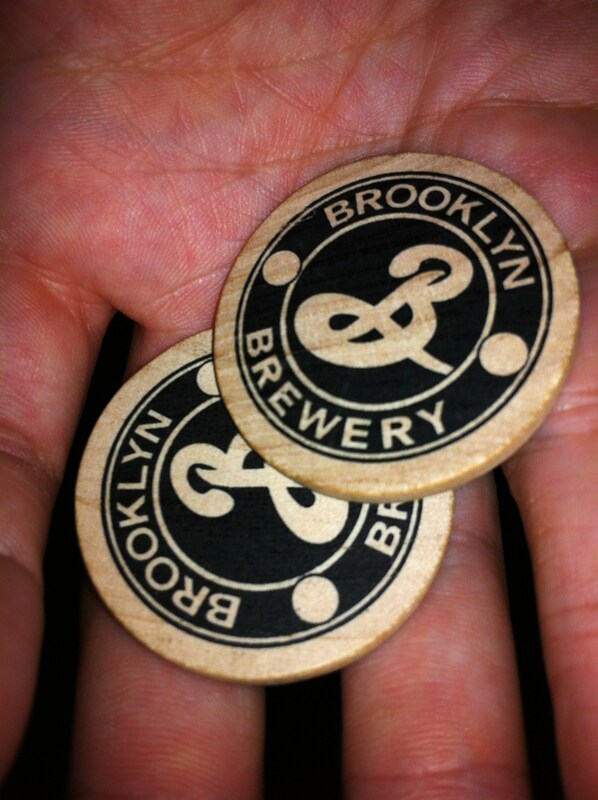 My particular favorite thing about visiting the Brooklyn Brewery is the “ATM” (which stands for Automatic Token Machine). If you have a Jackson on you, entering it in this machine will entitle you to 5 wooden tokens, which are the currency you exchange for a beer. Most beers are 1 token, a few are 2 or 3, depending on alcohol percentage or rarity. The tokens come in one of those little plastic bubbles you used to get toys or candy out of when you were a kid. Ahhhh, nostalgia! We decided to join the last tour of the day, which brought us into their newly expanded area, and involved a short discussion about the brewery’s origin and current beer production. Being summer, there were tourists from everywhere, and it was great to see how this local brewery’s popularity has continued to rise, both in the continental United States and internationally as well. That iconic “B,” designed by Milton Glaser (aka the guy who came up with I “Heart” NY) adorns taps, bottles, and t-shirts alike and has become a bold symbol for the local craft beer movement.